Will 2015 Be the Year of Worrying About Employee Burnout? With the ushering in of 2017, HR staffers are looking for new ways to improve company culture, especially in order to attract new talent for their business. These new trends can help them come up with cost-effective ideas to ensure the work balance requirements of employees. Below are some trends for 2017 to which HR staffers should be paying attention. Mid-market companies can now use this software to meet their HR needs. Before you start thinking about how you will reskill , here are the top 4 trends you should watch in 2019. 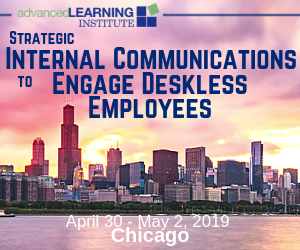 While traditionally it’s been the role of HR to to foster performance and development in the workplace, nowadays people are no longer waiting for this to happen, and are increasingly taking professional development into their own hands. People Enablement will continue to rise as a trend. Conclusion When thinking about trends, it can be easy to jump to technology. Coaching & Mentoring HR Insights HR Management HR Trends Talent Management Training, Learning & Development FeaturedIt’s been a long summer, but now it’s fall and the professional football season is (finally!) officially upon us. It’s a time to look at trends and changes, to review successes and failures from the year past – and a time to make plans. For those operating in HR, some core responsibilities and challenges never shift. What do you think will be the top HR trends in 2017? With barely a moment to kick back and exhale, you’re now faced with looking ahead at the New Year and what’s coming your HR way. As I offer my virtual high-five’s for crossing the finish line in December, here are 7 HR trends you’ll want to keep an eye on this year. Being somewhat behind, HR technology is catching up. It can also provide employee coaching and greatly improve responsiveness to employees, through you guessed it – chatbots. See trend #4! Recently, I published an article on some of the major disruptions happening in the workplace and the role that technology has played (is playing) in enabling or inspiring innovative HR programs. In September 2013, top HR leaders undertook a voluntary and collective effort to envision the HR profession in 2025. Should they be guiding your own strategies, organizational initiatives, capability development and HR functional design? HR Management Talent Management Best practices Change management coaching feedback HR management HR trends Performance management Performance reviews talent management A lot of companies preach today how their most important asset is their people. While this has obvious connections to the talent acquisition team, there are also broader impacts back to the HR department as a whole. 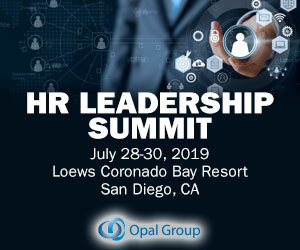 As Peter Cappelli writes in this HBR piece , “when labor tightens up…HR practices become essential to companies’ immediate success.”. In a field as dynamic and fast-changing as HR, the new year is seeing HR teams trying new approaches that include recent scientific insights, productivity research and technology developments. Managers are expected to coach employees to help them realize potential. Coaching. Originally implemented by the National Football League (NFL) and named after Pittsburgh Steelers chairman Dan Rooney, the original Rooney Rule sought to increase the opportunities for minorities to hold NFL head coaching positions. Why does the Rooney Rule matter to HR? The evolving work ecosystem requires “retooling” HR issues using the best thinking from disciplines such as engineering, finance, neuroscience, marketing, operations, and supply chain. How to Inspire Silicon Valley Interns: The LinkedIn HR Hackathon. What was so compelling about HR? Leader of the HR team, confidant of the CEO, the person in charge of the individuals who drive the larger corporate machine. This is the old HR. We help them avoid HR-related lawsuits. We coach. Why yes, indeed, they are: CHROs are the CEO’s of HR. In other words, if coaching is offered, they are likely to take you up on it and benefit greatly from extra learning and training resources. Download our eBook on Learning and Development Trends and find out how technology enables continuous learning in organizations. Recently I published an article on some of the major disruptions happening in the workplace and the role that technology has played (and is playing) in enabling or inspiring innovative HR programs. This article serves as an extension (or part 2) to that piece: Technology: The Enabling Force Awakening HR as a Strategic Partner In 2016. This feedback is used to provide employee coaching and development continuously rather than only at the end of the year. Athletes and coaches love the bottom line of a game. HR Insights Talent Management Best practices Change management HR blog HR management HR trends Management Performance management talent management You win or you lose. The winner is clear. Usually. Editor’s Note: This is the second of 12 essays from the new book, The Rise of HR; Wisdom From 73 Thoughts Leaders. It’s compiled by Dave Ulrich, Bill Schiemann and Libby Sartain, and sponsored by the HR Certification Institute. HR experts share six trends that will shape the industry in the coming year. 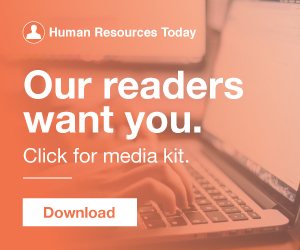 The past year in HR has been marked by developments in smart technologies, key shifts in workplace management practices, and the rise of alternative forms of work. Developing policies and procedures that relieve employees’ sense of being overwhelmed at work and promote sustainable work habits will be one of the top organizational change management initiatives of 2015,” says ClearRock , a leadership development, executive coaching, and outplacement firm. An analytics platform is essential to the modern recruiter because it can inform your decision-making process, give you justification for new recruitment expenditures and unearth trends that will compel you to create new action items for your organization’s talent acquisition efforts. HR is never thought of as a marketing-adjacent department. In fact, we see HR managers as responsible for recruitment, hiring, onboarding, training and development, coaching, payroll, and housing a lot of files on employees. HR has a recruitment role to play, too. But the current trends on the labour markets and for businesses mean the only option is to open up. c) New To HR. Republished by Blog Post Promoter The post The Magic happens Outside your Comfort Zone appeared first on New To HR. But the current trends on the labour markets and for businesses mean the only option is to open up. c) New To HR. The post The Magic happens Outside your Comfort Zone appeared first on New To HR. In our hyper-connected world change has become the only constant. On the other hand, contingent workers also provide a great base from which HR managers can recruit for full-time positions. Contract positions can serve as extended job interviews and provide HR managers with the opportunity to evaluate if these workers are the right fit for the company. SHRM CEO Hank Jackson made his annual appearance at the SHRM conference, and after a brief plug for the new SHRM certification (good luck with that), gave an impassioned pitch for why “HR needs to set the agenda in today’s marketplace. Coach Mike Krzyzewski. Just because marketing is calling something “career appropriate” doesn’t mean your HR and Operations folks will feel the same way. HR never wins when it comes to dress code policy because of these kinds of issues.